Now that greater-than-ever numbers of consumers are engaging with reading content on their tablets, there are a number of considerations to keep in mind when a publisher attempts to make the leap from a print edition to a tablet-based digital edition. Adobe’s Digital Publishing Suite has worked for some time at making the transition as easy as possible, especially for those publishers who want to put out their standard high-quality print edition while still reaching out to the tablet readers across so many platforms. “The publishing industry has undergone considerable transformation in the last three years. With the initial launch of WIRED on the iPad, a cascade of applications have followed Condé Nast in publishing highly regarded magazine and newspaper applications to a variety of tablet and smartphone devices using Adobe DPS,” according to a recent announcement on Adobe’s blog about that Time, Inc., is the newest publisher to begin using DPS for its digital editions. GoodeReader spoke with Lynly Schambers-Lennox from Adobe about how bringing Time and Hearst to DPS has impacted digital magazines, as well as the recent certification from the Alliance of Audited Media can provide publishers with a measure of confidence in the capabilities of DPS and Adobe. 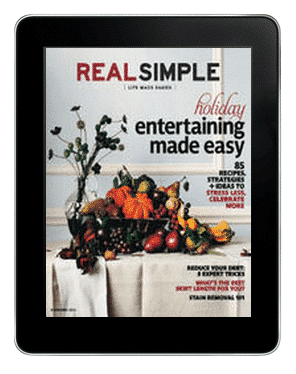 One of the initial headaches for publishers of tablet-based books and magazines, especially where the Android platform was concerned, was publishers were having to adapt their content to the various screen sizes, a fact that can only be exacerbated with the smaller Kindle Fire tablet, iPad Mini, and Nook HD, as well as the growing numbers of people who are comfortably reading magazines and newspapers on their smartphones. Now, with Time, Inc. and Hearst bringing some of their titles to Adobe’s platform, the top five selling magazine publishers have begun to use DPS for their digital publications, with over 50 million downloads this year of a digital magazine created through DPS. These publishers join Conde Nast, Meredith, and Rodale, who have already been putting out titles like Reader’s Digest and Men’s Health for tablet reading. One of the major concerns that publishers have with their tablet editions, though, is making sure the advertisers are confident that readers are interacting with their portions of digital editions.